A Few days back I play with Vagrant and trying to figure out the source of virtual machine image that Vagrant use. I learned that it download from cloud-images.ubuntu.com. This server is fast but I was thinking it should be faster if I can get a download server from Singapore or Hongkong or Taiwan since I’m in Indonesia. I’m not saying this is exhaustive list but good enough as starter if you are trying to find alternative of Ubuntu cloud image download server. 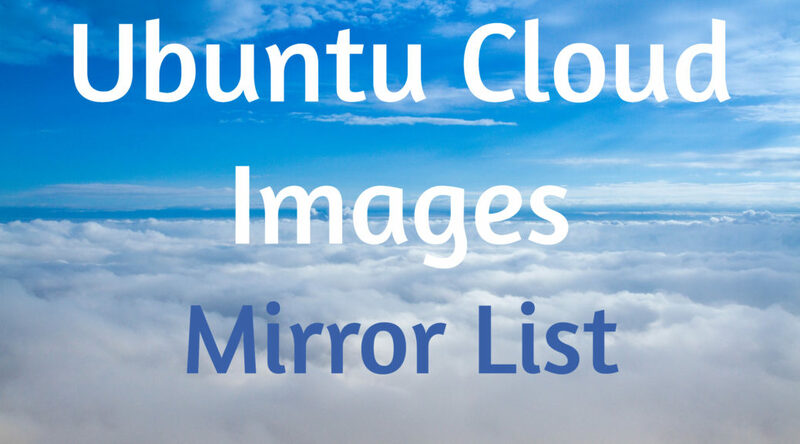 If you know another mirror that also provide Ubuntu cloud image but not listed yet, let me know in the comment.